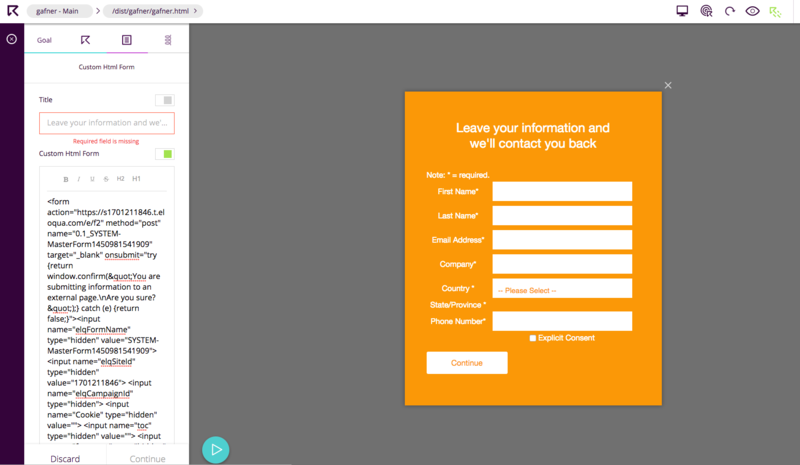 Reactful offers a variety of ways to collect information from your visitors. With our latest custom HTML reaction, you can fully customize the look and behavior of your lead capture reaction. You capture leads and any information you want and send them directly to your existing marketing system. 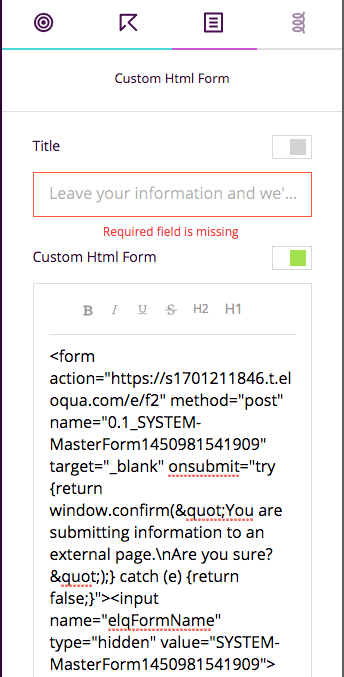 Insert your custom HTML form in a reaction and have the best lead capture reaction you can possibly have! Continue, choose your trigger and save! Now your form is ready to go within a reaction!